Yogi Bhajan broke with this long-held tradition of silence. A master of Kundalini by the age of 16 – itself a rare feat – he began teaching Kundalini Yoga in the West in Los Angeles, California in 1969. He was born in what is now Pakistan. Yogi Bhajan studied comparative religion and Vedic philosophy in his undergraduate years, going onto receive his Masters in Economics with honors from Punjab University in India. Years later, he earned his Ph.D. in communications psychology from the University of Humanistic Studies in San Francisco. He studied Kundalini Yoga under the guidance of his teacher Sant Hazara Singh, a Kundalini and Tantric master. He also studied with various teachers and yogis, including the respected Swami Sivananda. Since he arrived in the West in 1968, he emerged as a spiritual, community and business leader with a distinguished reputation as a man of peace, world-vision, wisdom, and compassion. He authored and published more than 30 books on topics ranging from spirituality and consciousness to communication and psychology. He founded several foods companies that manufacture and distribute natural products based on these teachings. 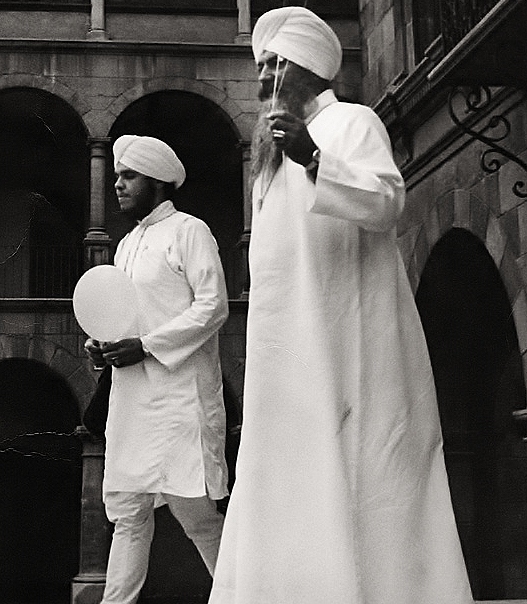 As the Siri Singh Sahib, or the Sikh leader in the Western Hemisphere, he has met with Pope John Paul II to discuss inter-religious dialogue and worked side-by-side with the Dalai Lama and the Archbishop of Canterbury to foster world peace.